Negatives, also known as eccentric muscle contraction is the phase in which the muscle is lengthened under tension, such as during the lowering of weight or in the downward movement of an exercise. Almost every exercise has both an eccentric and concentric phase. Concentric phase refers to the contraction or lifting portion of the movement and eccentric is the braking force that directly opposes the shortening of a muscle. Eccentric muscle contraction was originally called excentric by Danish researcher Erling Asmussen in 1953 to describe the movement away ("ex-") from the center ("-centric") of a muscle. Most believe that the more important part of weight lifting is the concentric phase, in which the muscle contracts, however, both phases play a key role in getting stronger and building muscles. 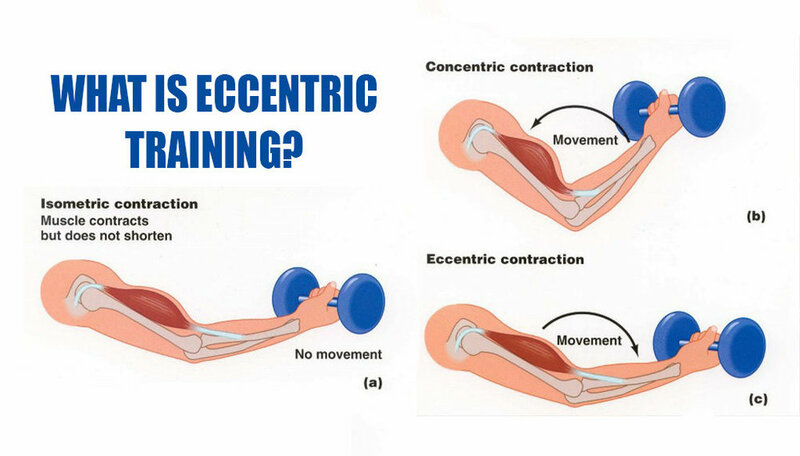 In fact it is actually the eccentric phase that is slightly more important when it comes to hypertrophy and strength. Eccentric training causes more rapid increase in muscle size and strength. Strength from eccentric training carries over to concentric training but not the other way around. Since a muscle can produce much more force eccentrically, simply lowering your weights does not do much to overload or improve eccentric strength. You must control the motion and do a marked slow descent or motion in order to build and engage your eccentric strength. "It is important that you maintain tension in your muscles during the eccentric phase of the isotonic contraction since it has been proved that you can improve strength from that type of contraction just as well as the concentric or muscle shortening phase. In the late 1970s and early 1980s, it was popular to do 'negatives' (eccentric contractions), particularly on the bench press, to increase muscle strength. The benefits of eccentric training far exceed muscle growth. Studies have shown that eccentric training really does increase muscle size (hypertrophy), but other benefits include less fatigue, increased force, lower risk of injury, more flexibility and muscle rehabilitation. Physical therapists have used eccentric training to rehabilitate athletes from injury, to improve performance and prevent further injury to affected areas. According to research from Wayne State University, a full-body eccentric workout increased the resting metabolism in athletes by 9 percent and for no less than three hours following the exercise. While an eccentric contraction uses less energy and oxygen than a concentric contraction, the negative movement actually creates more force. This not only enhances muscle growth but also increases the rate of metabolism (the conversion of calories and oxygen into energy), promoting weight loss. Another benefit to eccentric training is the downward force exerted on muscle can protect against injury. 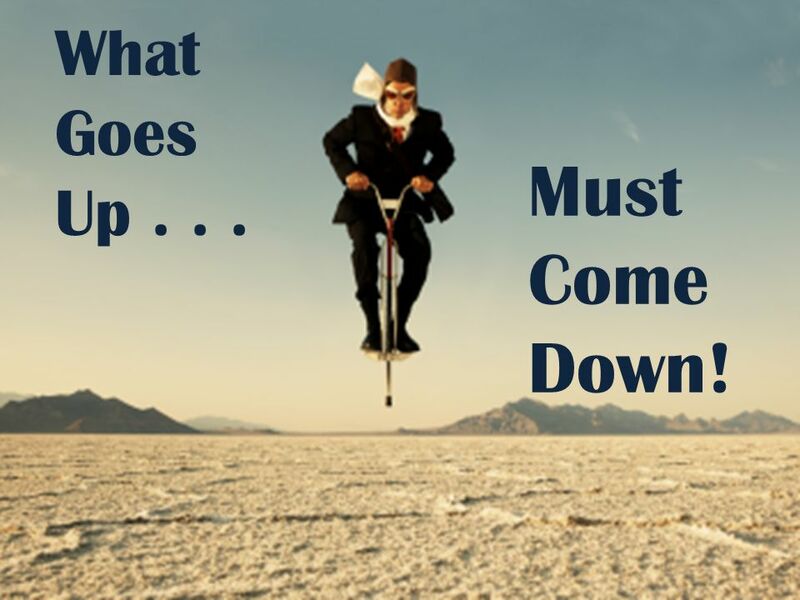 By not dropping or rapidly releasing the muscle contraction, you control the movement and are less likely to get hurt. While there is no denying the positives of negatives, there are some factors to be aware of when doing eccentric training. We can eccentrically lower and control approximately 25% more weight than we can concentrically. When you are doing eccentric training, be sure not to lift larger than your maximum capacity. While you may use a partner to set the weight up for the eccentric movement, the potential for strain when lowering an excess amount of weight is still a possibility. By lifting heavier than you normally train, you may increase the chance of delayed onset muscle soreness or DOMS, which is due to the extra effort and control needed to stabilize the movement. Negatives are typically done after the primary work is complete for the main exercise. If you find you have hit a plateau with weight or can not do another full rep of pull-ups or pushups or any other exercise that you can isolate the eccentric movement in, but still have energy in the tank, consider finishing your workout with negatives of the exercise. Grab a partner and have them assist you with the concentric phase (i.e -a boost up the the bar, a spot or assistance in lifting the weight/bar or even utilizing a box) and control your movement down. By incorporating this you are going to see results in the form of strength, endurance and control. Next time you do the same workout, you may just find you can complete the full rep rather than being stuck at the same count as before.